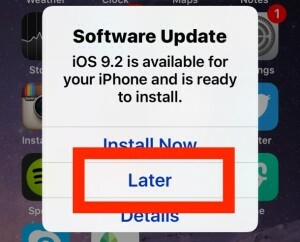 While modern versions of iOS are particularly aggressive with reminding you repeatedly about available iOS updates, the Mac has taken on a similar approach and will nag about OS X updates as well. Fortunately, the Mac has a bit more control forgetting software updates to stop bothering you in OS X, or you can just turn on endless Do Not Disturb mode as a workaround for handling relentless notification harassment in OS X. 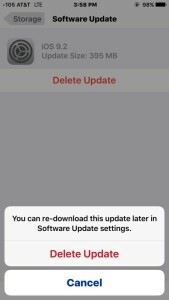 Perhaps a similar approach will be available to iOS at some point, or better yet, a settings option to stop the iOS auto-update and auto-download behavior entirely.